drop shape analyzer using kino software model SL200HP is designed for measurement of contact angle, surface tension (liquid-gas) or interfacial tension (liquid-fluid) under such special conditions as ultra-high pressure (max 75Mpa) and high temperature (max 200℃) . 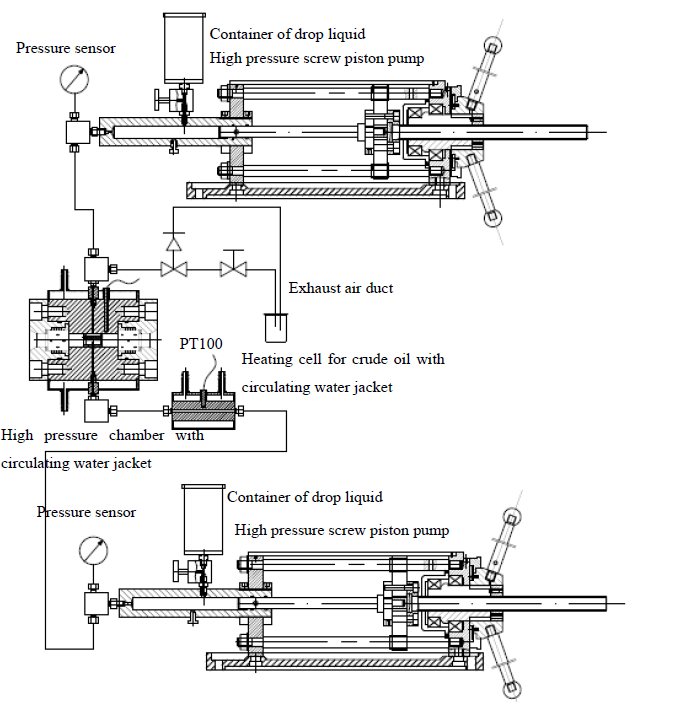 Thanks for its heating cell for such viscous sample as crude oil, SL200HP is the only instrument that can be used for application of tertiary oil recovery (EOR) especially for measurement of interfacial tension between ASP-crude oil. 1.drop shape analyzer using kino software Contact angle measurement: The drop formed under high pressure is usually shaped into an approximate ellipsoid in 3D due to its gravity, hence we adopt Young-Laplace equation fitting technology（ADSA?）to fit its shape in 2D, and then calculate its contact angle between liquid drop and solid under gas or fluid surroundings. →Extra provide a standard connector for gas such as CO2. →Lens tilt control and level control of chamber facilitate determining baseline between melt and solid and easy to get a vertical needle. →Tilted unit for adjusting vision angle of parallel background light to promise a good drop shape.